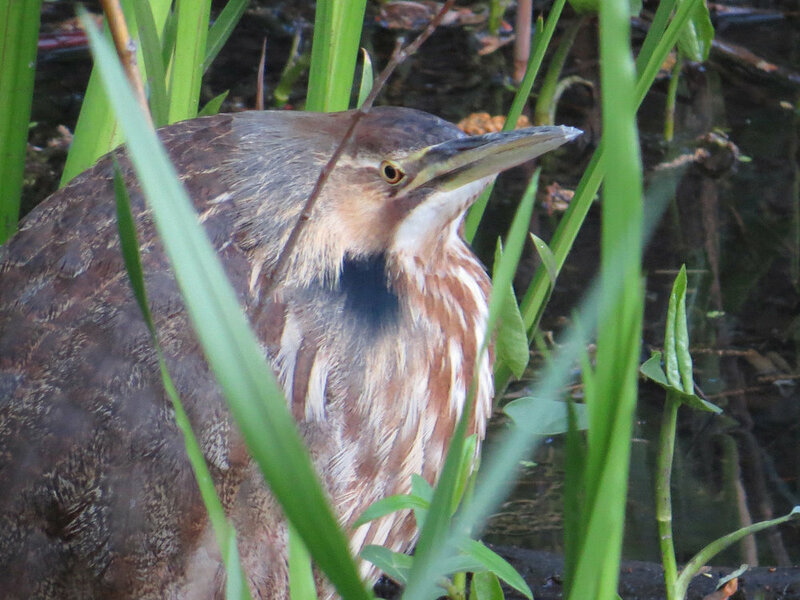 Last week an American bittern was sighted at Azalea Pond in the trees, and the following day it was sighted at the Point. I didn't find the bittern either day (I did look). But it reminded me that I had seen a bittern in the spring, but that I hadn't posted photos or a video. An American bittern at the south end of the Oven, May 8, 2016. So here they are! The bittern is a beautiful but very shy heron, with a longer bill and longer neck than the similar black-crowned night heron and yellow-crowned night heron. I noticed that the coloring of the American bittern is very similar to that of a young black-crowned night heron. These birds are rarely in the open, and are most frequently spotted among the reeds, as this one was. They are carnivores, eating fish, frogs and insects primarily. 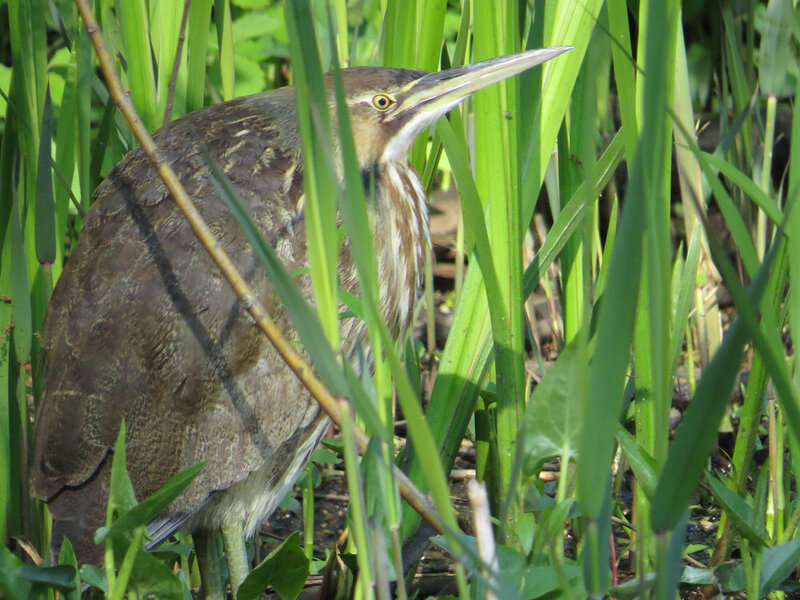 For more background on the American bittern, visit the Cornell Web site.